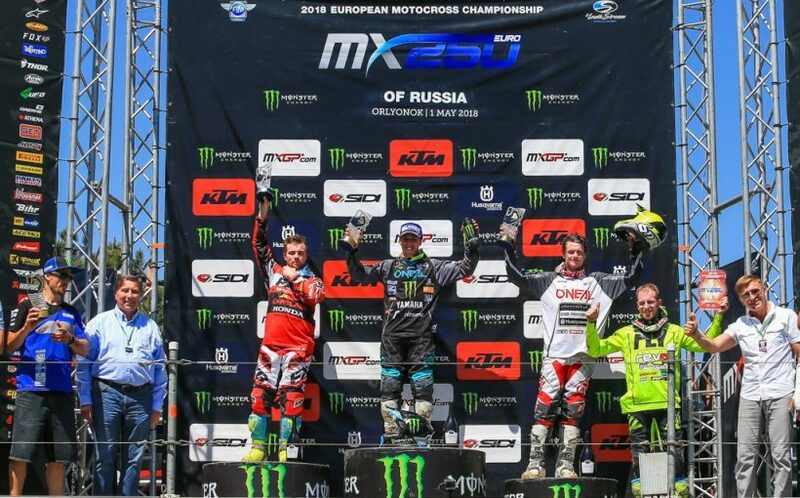 LAPUCCI AND ANDERSON EACH TAKE FIRST EMX WINS OF 2018. 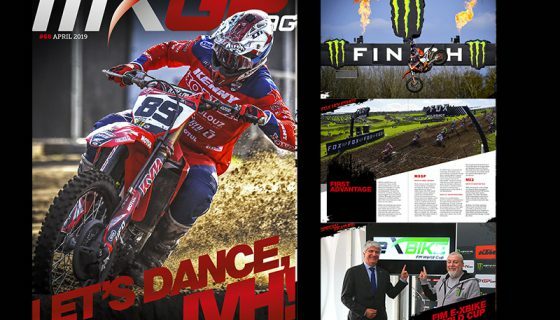 The Russian circuit of Orlyonok has hosted the furthest East round of the European Motocross World Championships. Beautiful weather joined with the Eastern beaches of the Black Sea for unpredictable racing action this week. 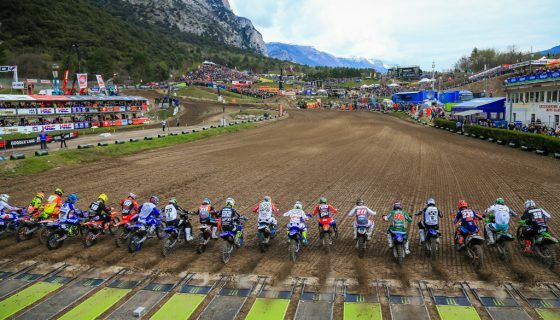 Prior to the opening races of the FIM Motocross World Championship classes of MXGP and MX2 FIM Europe Motocross Championship classes of EMX250 and EMX300 presented by FMF Racing completed their second races today. ASTES4-TESAR Yamaha’s Nicholas Lapucci and Verde Substance KTM’s Brad Anderson showed both speed and consistency on the way to taking their first EMX victories this year. Race 1 of EMX250 was full of action right from the start with Jeremy Sydow leading Honda Redmoto Assomotor’s Mathys Boisrame, KTM Silver Action’s Gianluca Facchetti, and Carglass Honda Racing’s Steven Clarke but all 4 crashed in the opening laps. The championship points leader coming into Russia, REVO Husqvarna UK’s Mel Pocock, had a collision with BUD Racing Kawasaki’s Pierre Goupillon sending both riders down, Pocock was later disqualified from Race 1 due to unsportsmanlike behavior after the incident. Tom Vialle used the mistakes of the fast starters to win in dominant fashion leading every official lap. Giuseppe Tropepe took over 2nd from Tomass Sileika on lap 3 and stayed in the same position the remainder of the race. ASTES4-TESAR Yamaha’s Nicholas Lapucci started in 9th position but by lap 6 the Italian made his way into 3rd. The #53, Team Diga Procross’ Dylan Walsh, followed Lapucci through the field and battled with REVO Husqvarna UK’s Martin Barr on the final laps to take 4th over Barr’s 5th. Race 2 was led early by Walsh from New Zealand but Great Britain’s Steven Clarke chased the Kiwi down and made a pass for the lead stick on lap 8. Running in 3rd the first half of the race was Pocock before Lapucci found a way by on lap 11. With 2 laps remaining Lapucci made a pass on Walsh for second and on the final lap of 17 Yamaha SM Action’s Maxime Renaux took another position from Walsh to finish 3rd. In the overall standings Nicolas Lapucci took his career first EMX250 win with Clarke 2nd and Walsh 3rd. Martin Barr claims the championship leaders red plate ahead of Walsh while Pocock dropped to 3rd. EMX250 Race 1 Top Ten: 1. Tom Vialle (FRA, Husqvarna), 30:17.317; 2. Giuseppe Tropepe (ITA, Yamaha), +0:06.056; 3. Nicholas Lapucci (ITA, Yamaha), +0:11.427; 4. Dylan Walsh (NZL, Husqvarna), +0:14.033; 5. Martin Barr (GBR, Husqvarna), +0:14.217; 6. Brian Strubhart Moreau (FRA, Kawasaki), +0:16.796; 7. Alberto Forato (ITA, Honda), +0:17.710; 8. Mathys Boisrame (FRA, Honda), +0:20.494; 9. Karel Kutsar (EST, KTM), +0:27.207; 10. Steven Clarke (GBR, Honda), +0:29.639. EMX250 Race 2 Top Ten: 1. Steven Clarke (GBR, Honda), 29:51.405; 2. Nicholas Lapucci (ITA, Yamaha), +0:01.979; 3. Maxime Renaux (FRA, Yamaha), +0:04.080; 4. Dylan Walsh (NZL, Husqvarna), +0:05.038; 5. Alberto Forato (ITA, Honda), +0:10.791; 6. Mel Pocock (GBR, Husqvarna), +0:16.569; 7. Martin Barr (GBR, Husqvarna), +0:17.321; 8. Brian Strubhart Moreau (FRA, Kawasaki), +0:22.321; 9. Roan Van De Moosdijk (NED, Yamaha), +0:27.403; 10. Mikkel Haarup (DEN, Husqvarna), +0:28.988. EMX250 Overall Top Ten: 1. Nicholas Lapucci (ITA, YAM), 42 points; 2. Steven Clarke (GBR, HON), 36 p.; 3. Dylan Walsh (NZL, HUS), 36 p.; 4. Alberto Forato (ITA, HON), 30 p.; 5. Martin Barr (GBR, HUS), 30 p.; 6. Tom Vialle (FRA, HUS), 30 p.; 7. Brian Strubhart Moreau (FRA, KAW), 28 p.; 8. Giuseppe Tropepe (ITA, YAM), 22 p.; 9. Mathys Boisrame (FRA, HON), 21 p.; 10. Maxime Renaux (FRA, YAM), 20 p.
EMX250 Championship Top Ten: 1. Martin Barr (GBR, HUS), 92 points; 2. Dylan Walsh (NZL, HUS), 89 p.; 3. Mel Pocock (GBR, HUS), 88 p.; 4. Giuseppe Tropepe (ITA, YAM), 85 p.; 5. Mathys Boisrame (FRA, HON), 79 p.; 6. Tom Vialle (FRA, HUS), 73 p.; 7. Steven Clarke (GBR, HON), 69 p.; 8. Brian Strubhart Moreau (FRA, KAW), 68 p.; 9. Pierre Goupillon (FRA, KAW), 65 p.; 10. Roan Van De Moosdijk (NED, YAM), 63. 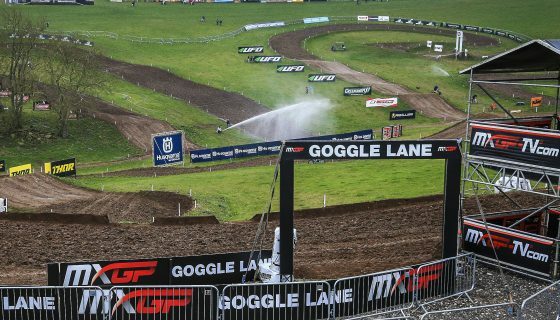 In EMX300 presented by FMF Racing on Monday’s Race 1 A1M’s Andero Lusbo took the lead from the first lap and stayed in the premier position each of the 17 remaining. Behind Lusbo was GL12 Racing’s Mike Kras until lap 7 when defending champion Brad Anderson, on his Verde Substance KTM, took the position. Vaclav Kovar from the Czech Republic started 4th but moved around Kras at the same time as Anderson and then continued forward to pass Anderson 4 laps later. Kras later dropped another position before the finish to Erik Willems from Belgium. Fellow Belgian Greg Smets who came to Russia second in the standings was unable to start race 1, and scored zero points. Today’s Race 2 was exactly what Verde Substance KTM’s Brad Anderson was looking for when he took the lead early and lead every lap of the race ahead of his 2017 championship rival, Mike Kras. Vaclav Kovar again moved forward from a subpar start and this time finished 3rd. Race 1 winner Andero Lusbo ran 4th the majority of the race through to the finish. In the overall classification Brad Anderson took his first win of the 2018 season over Lusbo and Kovar. Mike Kras finished 4th overall but still maintains the red plate and leads the championship before over Anderson as the series heads to Great Britain. EMX300 Presented by FMF Racing Overall Top Ten: 1. Brad Anderson (GBR, KTM), 45 points; 2. Andero Lusbo (EST, HUS), 43 p.; 3. Vaclav Kovar (CZE, GAS), 42 p.; 4. Mike Kras (NED, KTM), 38 p.; 5. Erik Willems (BEL, HUS), 34 p.; 6. Manuel Iacopi (ITA, YAM), 29 p.; 7. Ignatii Lopatin (RUS, KTM), 28 p.; 8. Marek Nespor (CZE, KTM), 24 p.; 9. Nikolay Kornev (RUS, KTM), 23 p.; 10. 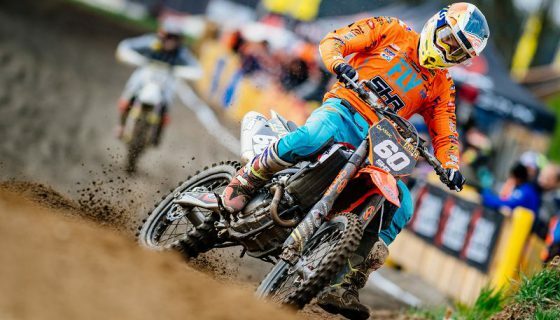 Justin Geyskens (BEL, KTM), 21 p.
EMX300 Presented by FMF Racing Championship Top Ten: 1. 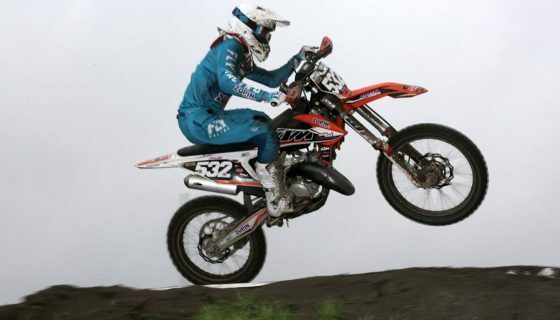 Mike Kras (NED, KTM), 130 points; 2. Brad Anderson (GBR, KTM), 122 p.; 3. 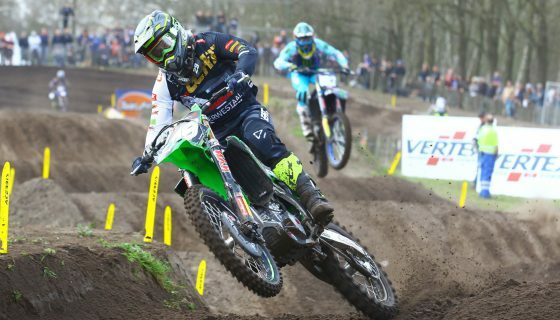 Greg Smets (BEL, KTM), 102 p.; 4. Andero Lusbo (EST, HUS), 102 p.; 5. Manuel Iacopi (ITA, YAM), 86 p.; 6. Erik Willems (BEL, HUS), 80 p.; 7. Vaclav Kovar (CZE, GAS), 72 p.; 8. Youri van t Ende (NED, KTM), 50 p.; 9. Alonso Sanchez Osuna (ESP, TM), 36 p.; 10. James Dunn (GBR, KTM), 36 p.
EMX300 Presented by FMF Racing Manufacturers: 1. KTM, 145 points; 2. Husqvarna, 102 p.; 3. Yamaha, 94 p.; 4. Gas Gas, 72 p.; 5. TM, 36 p.; 6. Honda, 15 p.